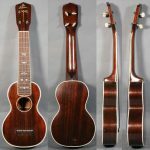 Gibson’s fanciest standard model ukulele. 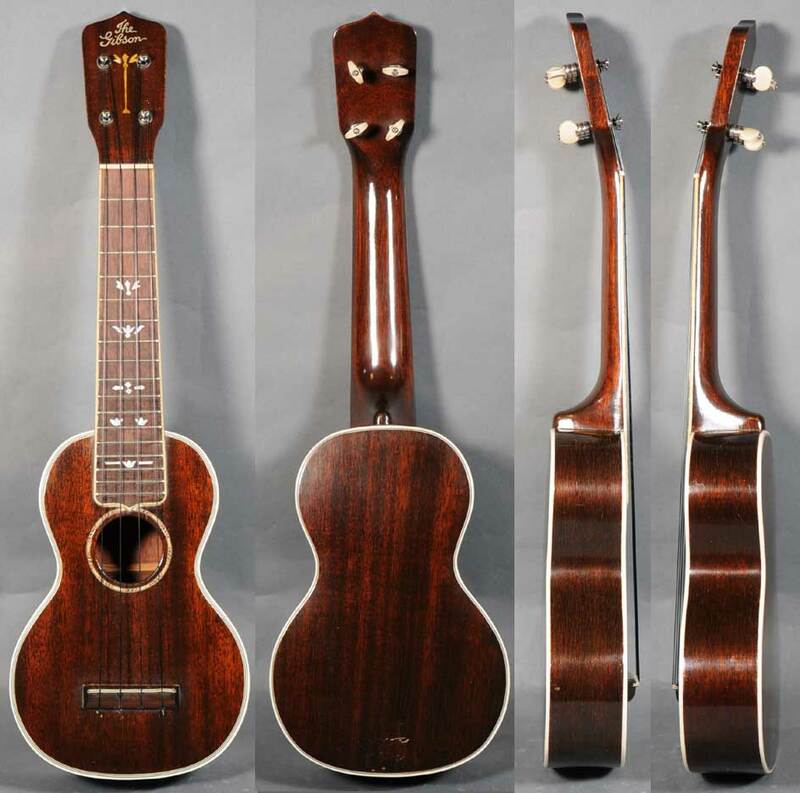 All mahogany, 5-ply top binding, 3-ply back binding, bound fretboard. Early varied pattern inlays at frets 5, 7, 10, 12 and 25, bone nut, 3 ply celluoid saddle.